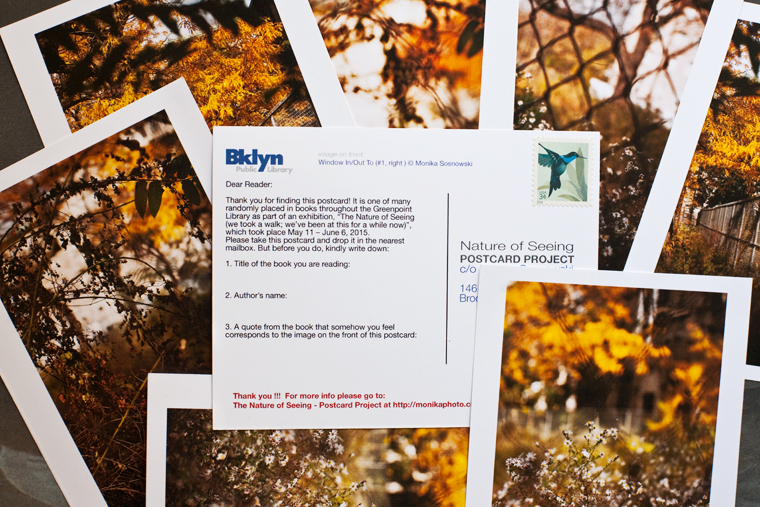 As part of the NATURE OF SEEING (we took a walk; we’ve been at this for a while now) exhibit and artist residency at the Greenpoint Library, at least 50 stamped and addressed postcards with a variety of images from the installation have been placed in its collection. 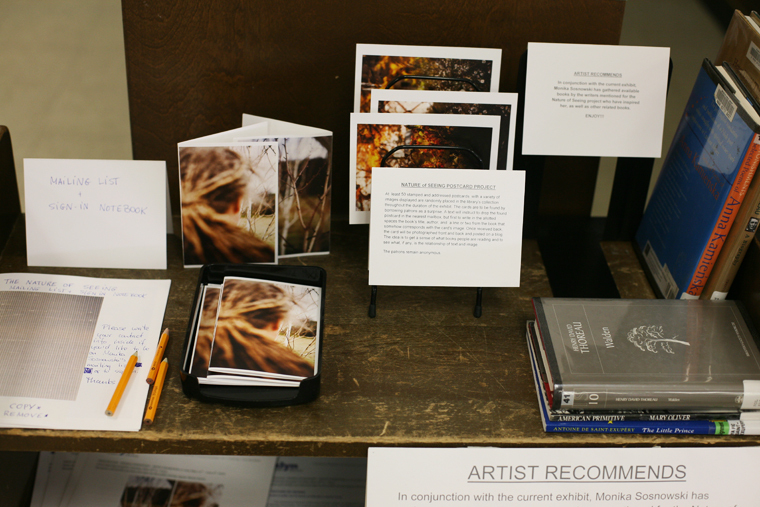 The books to hold the cards have been selected both randomly and specifically by myself and the curator Izabela Barry (her selections are unknown to me). The cards are to be found by borrowing patrons as a surprise. 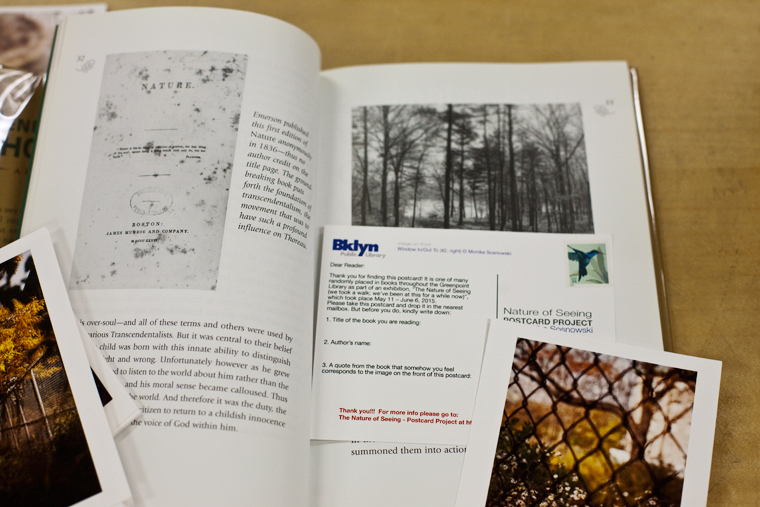 A text will instruct to drop the postcard in the nearest mailbox, but first to write in the allotted spaces the book’s tiltle, author, and a line or two from the book that to the reader somehow corresponds to the card’s image. One received back by me each card will be photographed front & back to be posted on this blog. 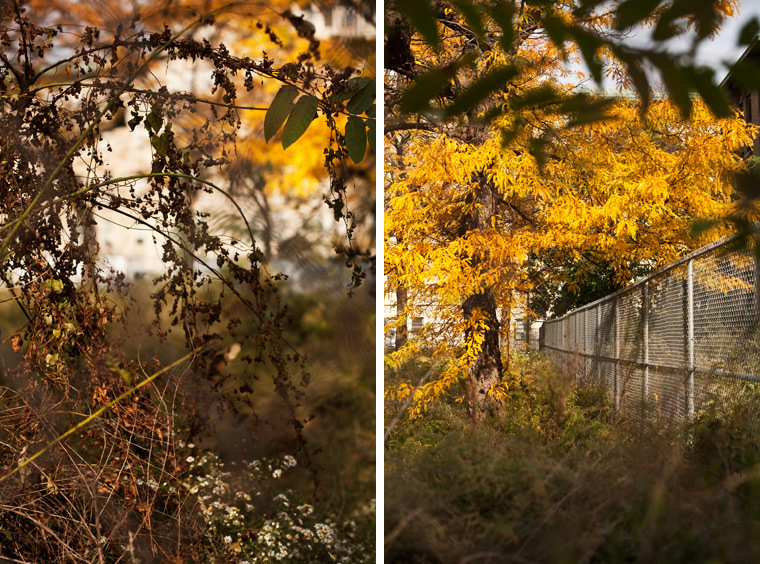 The main aim of this project is to get a sense of what people are reading and to see what, if any, is the relationship of image and text.